Volume II (originally published 1902) covers the period 1450 to 1520, the early ‘classical age’. For Gibb, the reign of Mehmed II (1451-81) was ‘the true starting point of Ottoman poetry’, when more verse was written in the increasingly Persianized literary idiom of the Ottoman court, in contrast to the relatively provincial Turkish style of most poets of the first period. 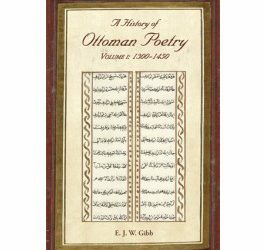 Among the leading poets of this era are Cem Sultan (d. 1495), the brother of Bayezid II (1481-1512) held captive for many years in France and Italy; the judge and courtier Ahmed Pasha (d.c. 1496) and Necati, the son of a slave (d. 1509). 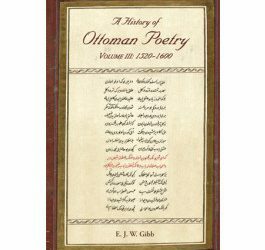 Also discussed is the work of Mihri Hatun of Amasya (d. after 1512), one of the few known Ottoman women poets. 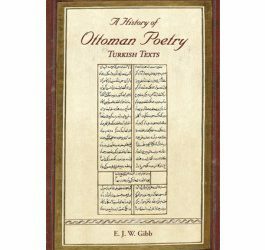 Gibb provides extended summaries of the stories of Yusuf and Zuleika, and Leyla and Mecnun, both composed by Hamdi (d. 1509), as early Ottoman examples of traditional romances in the mesnevi style of rhymed couplets. 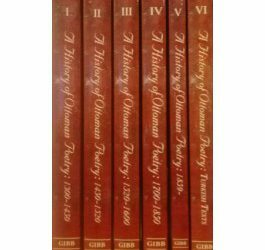 Volume II contains two prefaces. The first is an obituary of Gibb by E. G. Browne, followed by a list of the Persian and Turkish manuscripts in Gibb’s library at the time of his death. The second is Gibb’s intended preface, countering criticisms of the first volume with a robust defence of his decision to use an archaic form of English in his translations.